She was born on 2 July 1929 in San Juan de Dios Hospital formerly located in Manila. She was the oldest daughter of Vicente Orestes Romualdez who was a lawyer, former dean of the law school of St. Paul's College, and a music and culture afficionado; and Remedios Trinidad, a dressmaker and homemaker with her roots from Baliuag, Bulacan who died in 1938 due to pneumonia when Imelda was around nine (9) years old. 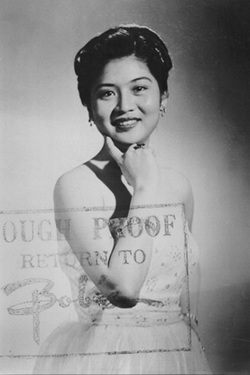 She was a beauty queen in her own right especially during the 1950s wherein she was crowned the "Rose of Tacloban" at the age of 18 and earned the special title of "Manila's Muse" after a controversy due to Imelda's complaints during the 1953 Miss Manila beauty pageant. She obtained a bachelor's degree in education from St. Paul's College and also took Voice Culture at the Philippine Women’s University. 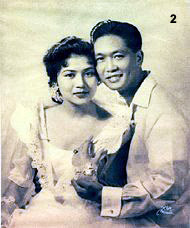 She had many suitors like former Senator Benigno "Ninoy" Aquino, Sr. and architect Ariston Nakpil before she got married to former President Ferdinand Marcos on 1 May 1954 at the San Miguel Pro-Cathedral on General Solano Street in San Miguel, Manila eleven (11) days after meeting him in Baguio during Holy Week. Their children are Maria Imelda "Imee" Marcos, Ferdinand "Bongbong" Marcos, Jr. and, Irene Marcos-Araneta plus one adopted daughter, Aimee. 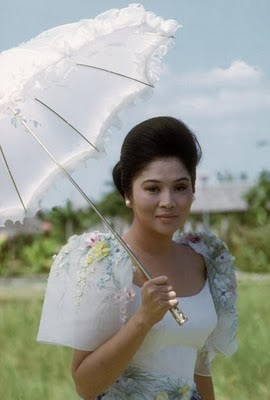 She became the First Lady of the Philippines on 30 December 1965; Governor of Metropolitan Manila from 1975-1986; Minister of Human Settlements from 1978-1986; lost (fifth in a field of six) in the 1992 presidential election; Leyte Congresswoman from 1995-1998; and, currently the Congresswoman in the 2nd District of Ilocos Norte. She launched her fashion line, "The Imelda Collection", on November 2006. Her first legislative bill in 2014 was renaming the Philippines to Queens Islands. She is famous for her 3,000 pairs of shoes but she was quoted as saying "I did not have three thousand pairs of shoes, I had one thousand and sixty." and "I really had no great love for shoes. I was a working First Lady; I was always in canvas shoes. I did nurture the shoes industry of the Philippines, and so every time there was a shoe fair, I would receive a pair of shoes as a token of gratitude." She appeared in the 2003 critically-acclaimed documentary film "Imelda" which was directed by Ramona S. Diaz and won the award of "Excellence in Cinematography Award Documentary" at the Sundance Film Festival in 2004. She is also known as the "Iron Butterfly" or "Steel Butterfly" which she has earned through surviving challenges in her life such as the deaths of her parents and her husband.